Description of the birds commonly seen in Chichester Harbour Area of Outstanding Natural Beauty. The Harbour is an area of deep salt-water channels; bounded by mud banks which are covered twice daily by tides flowing through the narrow entrance. There are sand dunes and shingle near the entrance and much of the shore at the high-tide mark is of shingle. Birds choose to spend all or part of the year here because the conditions suit them - there is abundant food and little pollution or disturbance. Mud uncovered between the tides is the richest source of food. 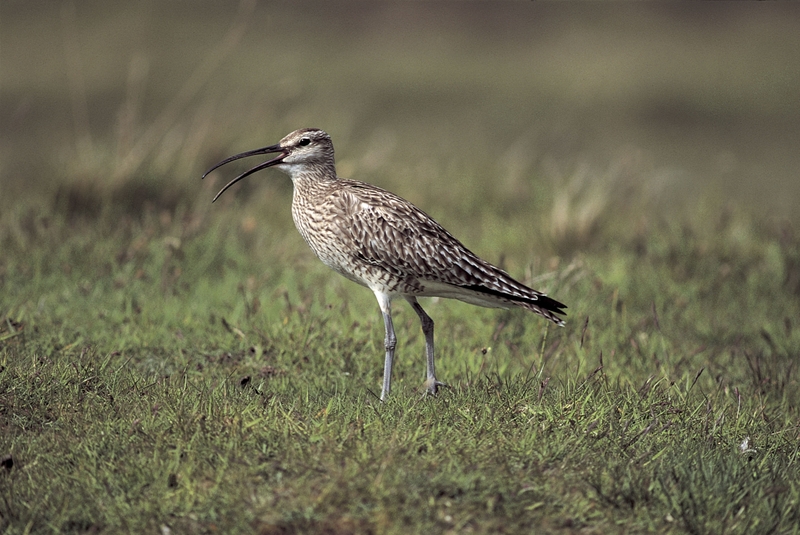 Waders, such as Curlew, Godwits, Redshank and Dunlin, probe with their long beaks in the mud for small marine animals like worms, small shellfish and crabs. 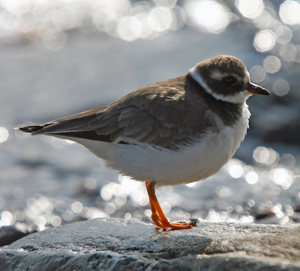 The plover family of waders pick their food from the mud surface and Turnstones find theirs under seaweed and pebbles. 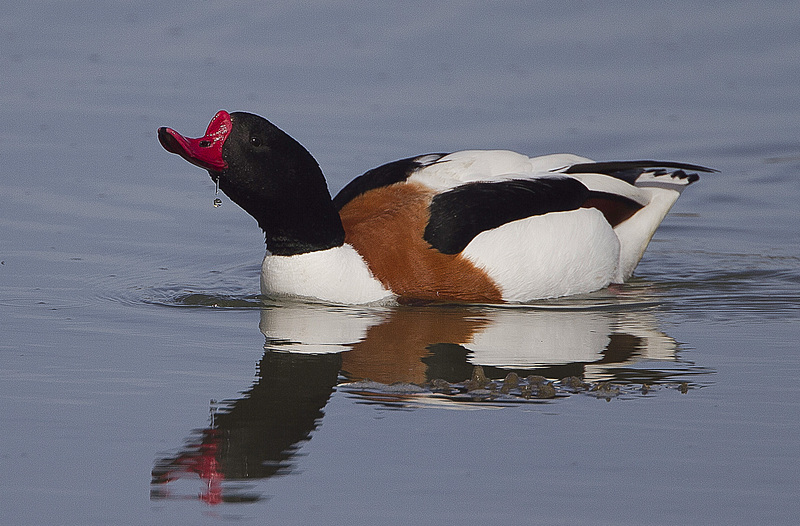 Shelduck sift the surface of the mud for tiny snails (Hydrobia). Other birds feed on plants growing on the mud; Brent geese and Wigeon eat green algae (Enteromorpha) and Eel grass (Zostera); Coot and Mute Swans are also vegetarians. Others are fish-eaters; they may dive from a height (terns) or from the water surface (grebes, Cormorants and sea ducks like Red-breasted Merganser and Goldeneye) or stand and fish in the shallows (Heron). When the high tide covers the mud flats all mud-feeding birds need somewhere quiet to rest and preen. Waders fly to nearby fields, saltmarsh or high shingle (high tide roosts) while ducks and geese rest on the water surface or ashore. Very few estuarine birds are here all year round. Most are travellers and are either winter visitors (they nest elsewhere and winter here), Passage Migrants (they spend some time here in spring and again in late summer and autumn between their breeding and wintering places) or summer visitors (nesting here, then leaving for their wintering places when their young can fly). A regular count of waders and wildfowl in Chichester Harbour is made by a team of ornithologists and the results are published annually in the Sussex Bird Report. The number given with each species described is a rough average, taken from recent counts of the harbour populations, for the months during which each species is most likely to be seen. Passage Migrant and Winter Visitor, July - March (1100). The largest wader with very long legs, a long down-curved beak and brown slightly mottled plumage. Found on mud all over the Harbour. Nests on British hills and heathlands and arrives here from July -September, when some travel on for the winter and some stay and leave again in March. Passage Migrant, April and May and again in July and August (160). 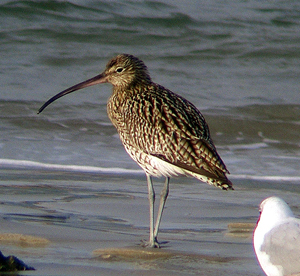 Similar to a Curlew but smaller and darker with a distinctive "tittery" call. On mud especially on the Thorney and Bosham channels. Breeds in Scandinavia and Iceland and winters further south. Passage Migrants and Winter Visitors. These are smaller than Curlew with long legs and long straight beaks. Blacktailed Godwits are seen from August - April, (300) and have a white wing bar in flight and brown plumage, They feed on invertebrates in soft mud mainly at the heads of the channels. Nest Europe and Iceland. Bartailed Godwit has no wingbar and feeds on creatures in sand and mud. Seen July to March (700). Nests in Arctic. Both species may be seen in their summer plumage of russet head, neck and breast in spring and late summer. Winter Visitor and Passage Migrant, September to February (1,100) but a few are Residents; about 200 non-breeding birds summer in the Thorney channel and 5 or 6 pairs breed on the Harbour, laying their eggs in a scooped-out shingle hollow. Most breed in North Britain and Norway. A largish dumpy black and white bird with red legs and beak and. a noisy piping call. It feeds on shellfish and worms and can be seen on sand, mud or shingle anywhere on the Harbour. Winter Visitor July to March (11 00). A few pairs nest on saltmarsh and wet fields round the Harbour but most breed on freshwater wet areas inland. A medium-sized brown bird, with red legs and beak, in flight its wings look dark with a white trailing edge. It is very noisy and nervous and may be seen on mud anywhere. 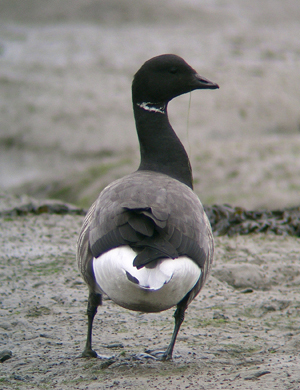 Passage Migrant and Winter Visitor, August to March (180); sometimes a few non-breeders summer at Pilsey Island. Breeds Arctic and Scandinavia. A fairly small dumpy bird, tortoiseshell coloured with shortish red legs and dark beak, it feeds by turning over stones and seaweed and is found on shingle and stony mud. Winter Visitor, September to February (12,500). A very small sparrow-sized wader, brown, pale underneath with a black beak. Present anywhere on the harbour in very large numbers, often in big flocks. Breeds North Britain, Scandinavia and Iceland. Winter Visitor and Passage Migrant, September to March (150). Very small and pale with dark legs, seen on sand only (Pilsey Island and East Head) running between the waves on the tide's edge to pick up food. Uniquely amongst British waders, Sanderling have no hind toe. This causes its unusual running action, like a clockwork toy, as it darts about the beach edge. Winter Visitor November to March (50). 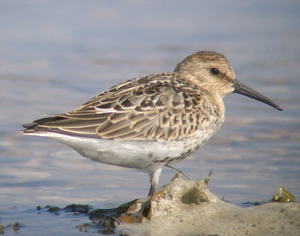 A fairly small wader with shortish legs, a very long straight beak, ginger and black striped plumage and a short tail. Its flight is fast and zigzag. Inhabits fresh or brackish marshes around the Harbour but may feed intertidally in freezing weather. Breeds on inland wet places. Lapwing (or Peewits) are Plovers but not dependent on the coast and many feed on fields here and inland as well as on mud. 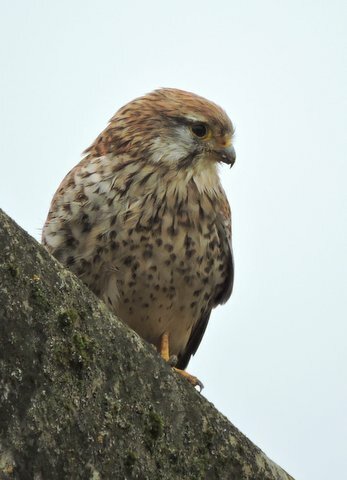 They are mostly Winter Visitors from July - February (1,300) most breeding inland but a few nest in wet places round the Harbour. They are exceptional among waders in having rounded wings and a slow flappy flight. Plumage is dark and iridescent, pale underneath, with a crest on the head. Winter Visitor and Passage Migrant, August to February (450), but a few are Residents, nesting on shingle spits and islands on the Harbour. Feeds by taking short runs and picking small marine creatures from the mud surface. Small, olive brown above, pale underneath with a black and white collar and eyestripe. The Ringed Plover has a clever way of protecting their chicks. If a predator comes too close, the parent feigns a broken wing, calls to the predator and walks away from the nest. Having lured the predator away, the Ringed Plover then flies off! Winter Visitor and Passage Migrant, August - March (1800). In late summer they are in summer plumage with silver backs and black fronts, but soon moult into winter plumage of pale grey. In both plumages they have a black underwing patch seen in flight and a white rump. 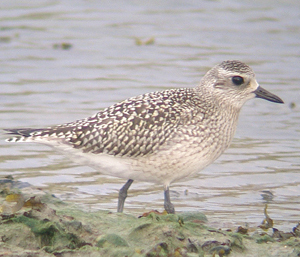 Seen especially in the Thorney Channel area in late summer and autumn and anywhere on mud in winter. Breeds in Arctic. • Knot in winter in the Thorney area. • Greenshank in late summer and spring on mud anywhere. • Common Sandpiper along sheltered shores in summer. 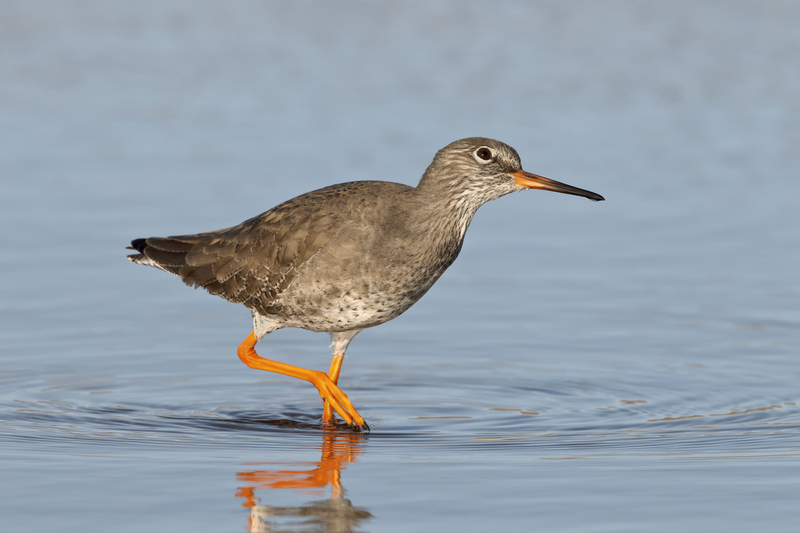 • Spotted Redshank around Thorney Island in late summer. • Golden Plover on fields in the East Head and Rockwood area in winter. Resident and Winter Visitor (75). Some breed near the Harbour. Large winter flocks especially at Bosham and Emsworth. Bewicks and Whooper Swans are rare Winter Visitors, more likely in very cold weather. Winter Visitors, November to March (10,000) numbers varying according to their breeding success in the Arctic. Small for a goose, dark, with a white neck collar and white under the tail. A vegetarian feeder, when the seaweed food on the mudflats ets scarce in midwinter they feed on land on grass and cereal crops. Scaring devices are put out on the arable fields to keep them off but they are encouraged to feed on grass especially on Thorney airfield. Seen all over the Harbour, often in large flocks. Canada Geese are larger and noisier and occasionally visit the Harbour from the Chichester Gravel Pits. Resident and Winter Visitor, November to March (1000) and Resident, about 80 pairs nest in rabbit holes or deep undergrowth near the Harbour. The young hatch in June and July and are taken to the Harbour when one day old to feed or swim. A large duck with dark head and neck, white body with a chestnut coloured band on the chest, black on the wings and a red beak. Seen anywhere on the Harbour. 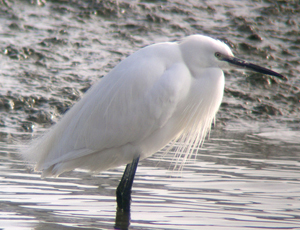 Resident and Winter Visitor, most in October to February (300), a few breeding locally. Can live on salt or freshwater ponds. Male has dark green head and neck, white collar, chestnut breast and dark curly tail. Female mottled brown. "Up-ends" to feed on plants. Winter Visitor October to February (1500). Medium sized, male has chestnut head with a yellow crown-stripe and shows a white square in the wing in flight. Female mottled brown. Often in flocks making a whistling call. Feeds on seaweeds on mud and sometimes on grass. Breeds North Britain and North Europe. Winter Visitor November to February (200). Often with Wigeon. Male has a long neck with a white throat and long pointed tail. Female mottled brown. Breeds North Britain and Europe. Winter Visitor September to February (1500). A small surface feeding duck, male has a chestnut head with a green eye patch, white stripe over the wing and yellow by the tail; female mottled brown. Very fast flight. Breeds Britain and Europe. Feeds on inter-tidal or freshwater vegetation. Goldeneye - November to January (50) & Redbrested Merganser, November to March (100) are both Winter Visitors and diving ducks which keep to the deep-water channels. Both are "submarine" - shaped behind. Goldeneye are rather dumpy with a rounded head, females are dark and males have a white spot on a dark head and white on the body. Mergansers are longer-bodied with a crested head, dark in males and russet in females. Resident. Nests in trees at Fishbourne (about 20 pairs) and at South Hayling (about 18 pairs). Large and grey with a plumed head. In flight it tucks its long neck into an "S" bend and its long legs trail out behind. Stands at the water's edge to catch fish and eels, or rests ashore in a sheltered sunny spot. Seen anywhere on the Harbour. Winter visitor, though present in large numbers (up to 250 but typically 50-100) in all months except May and June. 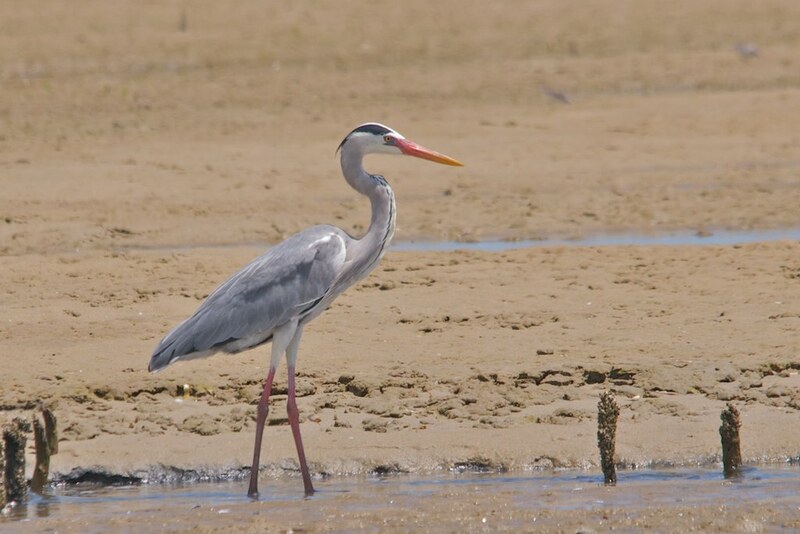 Typical heron shape but plain white, with yellow feet. Found anywhere, both inter-tidally and in ditches, streams and marshes. In the 19th century Little Egrets were targeted by milliners for their feathers which were used to decorate hats. This led to the formation of the RSPB in 1889 to protect these beautiful birds. Mostly Winter Visitors September to March (50), but a few summer on the Harbour. Large and black, seen swimming and diving for fish and eels anywhere on the Harbour. 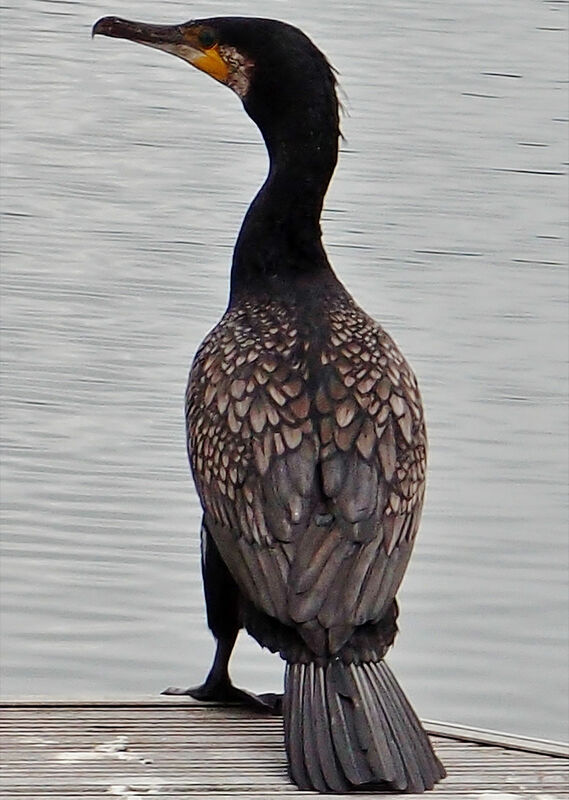 Cormorants have four webbed toes on each foot. This helps them swim underwater as they chase fish.Often perches on posts or stands on sand with its wings spread out to dry. Nests on cliffs, some on the Isle of Wight. Winter Visitor November to March (up to 2,000 in very cold weather). A few breed near the Harbour on fresh water. Medium sized and black with a white shield on the face, constantly diving for plant food. Seen mainly on Thorney Deeps. Resident, Winter Visitor and Passage Migrant, seen all the year (up to 14,000 in winter evenings). Some nest on islands in the, but with limited success as their nests are often flooded by high tide. A small gull with a black head in summer only (white head with a black eye-spot in winter), pale grey-white body, black wing-tips and red beak and legs. Large numbers return to the Harbour each evening to roost for the night after following the plough or feeding on rubbish tips inland, and leave again in the morning. Seen all over the Harbour and feeds on almost anything. 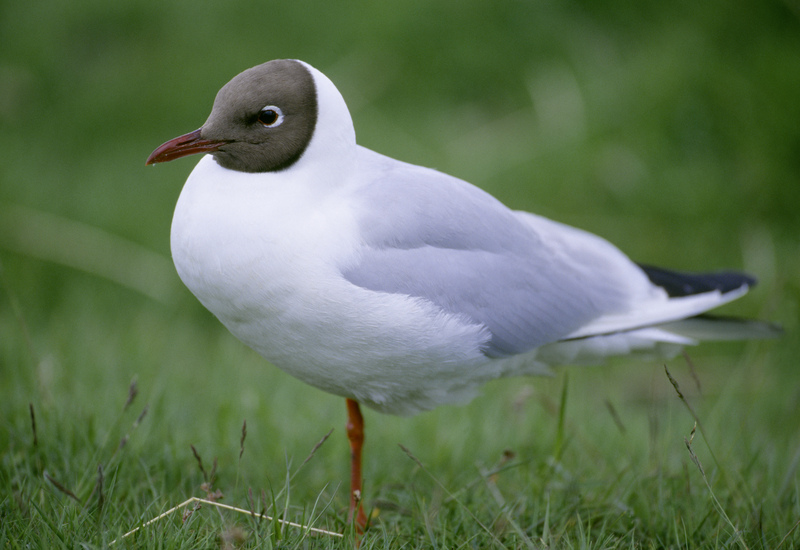 Larger gulls such as Greater and Lesser Blackbacked, Herring and Common occur in smaller numbers. Summer Visitors. 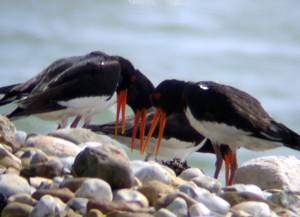 Three species sometimes breed on islands in the Harbour, laying their eggs on shingle. Their nests also suffer from tidal flooding. They spend our winter in Southern Africa. The largest of the three, very white with a black head and beak. Up to 100 pairs have nested here. Medium sized, greyish-white with a black head, red black-tipped beak and long "swallow" tail. Up to 80 pairs used to breed. The rarest tern, very small and white with a dark head, white forehead patch and yellow beak. Over 100 pairs used to breed on the Harbour but now only a handful of pairs attempt to nest. 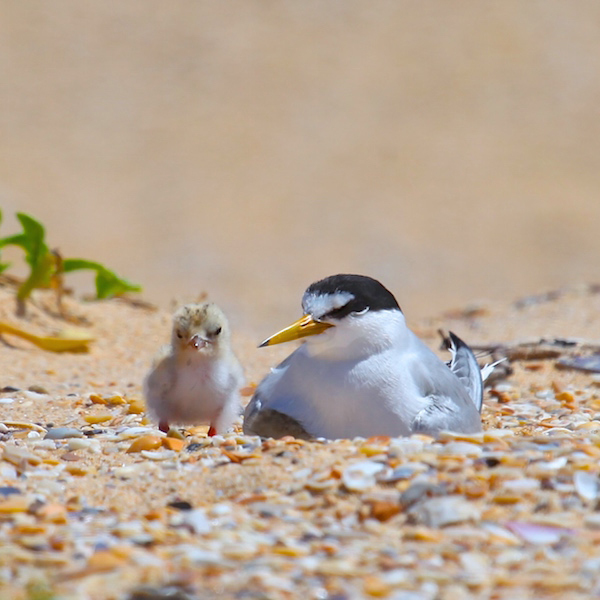 All these terns feed by diving for fish; small ones are fed to young chicks, and larger ones as the chicks grow bigger. In winter you might see a Kingfisher streak by, or a Short-eared Owl or Hen Harrier hawking over the shores or marshes. At any season you could recognise a 'land' bird feeding along the shore such as a Wren, Linnet, Skylark, Greenfinch, Starling or Crow, or a Kestrel hovering over the seabank. All the Harbour's estuarine birds are counted every month. To do this the Harbour is divided into 13 sections, and volunteers record the numbers of each species they see. This is part of the national Wetland Bird survey or WeBS. For further information or to help with bird counts please contact our Ecologist.